Sweeping dirty slum streets and washing tiny bodies are just a few ways the compassionate women missionaries serve. Conversations flow and hearts are opened as they talk with women in the villages. 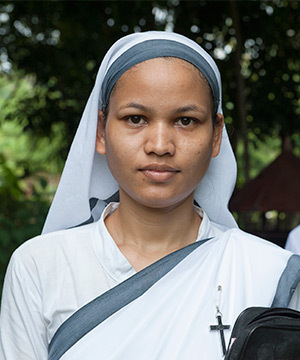 The ones tending the wounds of leprosy patients, feeding the poor and helping victims of natural catastrophes—these are the Sisters of Compassion. 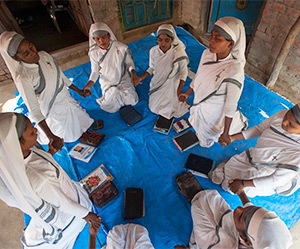 These women, clothed in white and gray servant dresses, show the heart of Christ as they serve children, women, the downcast and the needy—those others have forgotten. Deep love transcends all the lowliness they face every day. 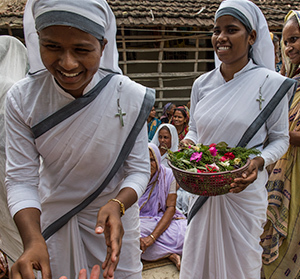 The sisters pave the way for many, by living as Jesus's hands and feet. This month we remember and stand behind our Sisters of Compassion in prayer. As they faithfully serve the Lord Jesus by doing what most would call "unpleasant tasks", they are displaying the love of Jesus in touchable ways. Let us pray with passion for this ministry as God equips these precious women to sow His unfailing love deep into the hearts of everyone they serve. As these women serve Jesus with their various tasks, a need for a closeness with Christ is crucial. Cleaning wounds on a leprosy patient or teaching literacy class would all be done in vain if it wasn't for the heart of Christ beating within. Just as you would pray for your walk with the Lord to deepen and grow more meaningful, let us pray for our precious sisters to maintain their walks with God and to draw closer to Him day by day. With their busy lives of ministry, it may be difficult to find time to spend alone with the Lord. Please pray God will give them strength to make it an absolute priority in their day-to-day lives. Women young and old draw near to Jesus and go serve in places their feet may have never trod before.  They may experience new lifestyles, food and ways of doing ministry. Some may be homesick and lonely, and their social statuses have now changed completely. Though these women have chosen this lowly, beautiful path of Christlikeness, it is not always easy for them to transition into new servant lifestyle. 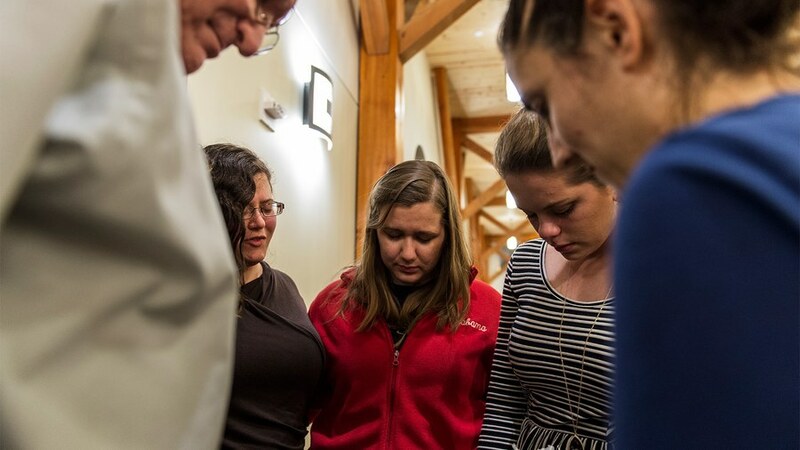 Let us pray God will encourage our sisters' hearts as they walk down this new path. Whether they have been serving the Lord for many years or this is new to them, they need the Lord's grace for each new assignment and ministry placement. Ask God to fill their hearts with hope and guide them each step of their journey. Intense weather conditions. Disease-laden slums and sick people in need. Sisters of Compassion encounter much during their three years of service. As they sow into many lives day after day, let us remember them as we pray for strength and health. Let us pray God will give them strong, healthy bodies and enable them to serve effectively whatever the circumstance. We can also pray the Lord will strengthen them in His Spirit, so they will not tire of doing good. 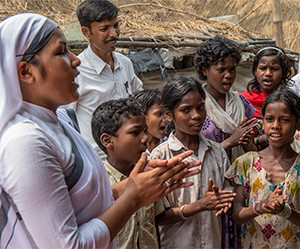 As Sisters of Compassion enter a village, they bring hope to families in desperate need of God's love. 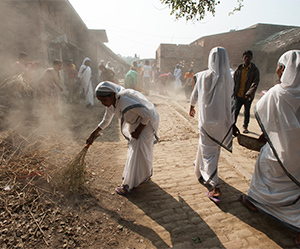 Through their simple acts of service—cleaning up a village, teaching literacy or sewing classes, and helping in vegetable gardens—they are welcomed and appreciated by the villagers. As they pray for individuals, hold worship gatherings and give counsel from God's Word, their service is a huge help to local pastors and missionaries. Their ministry often opens doors for many hearts to see for themselves the joy of Jesus and His tender lovingkindness. Let us pray God will continue to work powerfully through the lives of our sisters and enable more families to receive comfort through their ministry. Imagine if you had a team of women under your care. They look to you for guidance and help in times of hardship. In every Sisters of Compassion team there is a woman whose responsibility is just this. They are called to lead the women in their group in the Lord and take care of their needs and the needs of those they minister to. We can pray for God's wisdom for every decision they have to make and every step they have to take. Let us pray they walk in the unshakable strength of the Lord and that they may not become easily discouraged. Every day these women spend time cooking, cleaning, praying and ministering together. Side-by-side, they invest in the lives around them. Some sisters are from different backgrounds and social statuses. Like-mindedness and unity is crucial throughout their three years of service. Please pray for a strong bond of unity among the sisters as they live together. Let us pray God knits their hearts together as they walk this journey of service to the Lord.